Is there a more versatile yarn than that produced by Brown Sheep? You can get wool, cotton, blends of the two. Superwash or in it’s natural state. Too many colors to keep track of (but never too MANY colors! ), great price point and customer service. Whatever you want to make with fiber, there is likely a Brown Sheep product that will give you beautiful results. 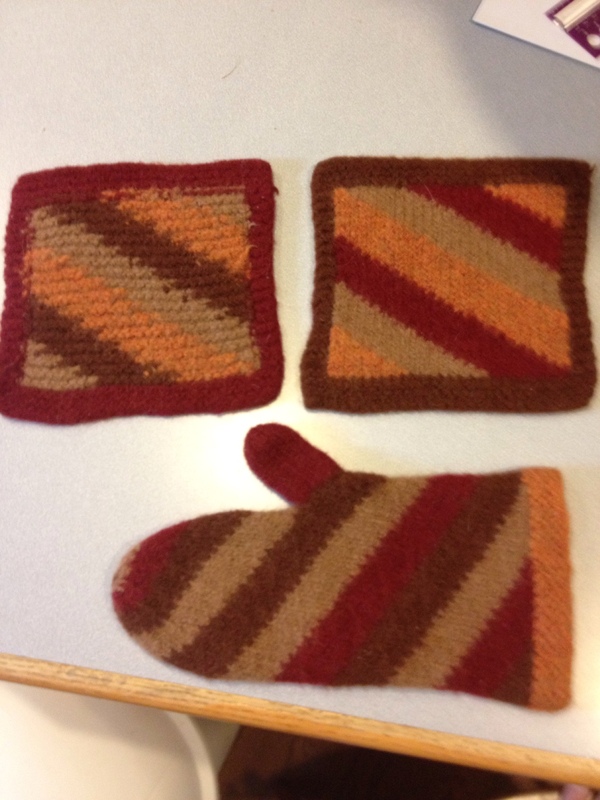 A big part of my book, “Annetarsia Knits” revolves around the workshops that teach my techniques and tricks. The workshops were honed by knitters who volunteered to help. I needed large quantities of yarn in both wool and cotton, for the classes. Brown Sheep generously supplied yarn for this purpose. 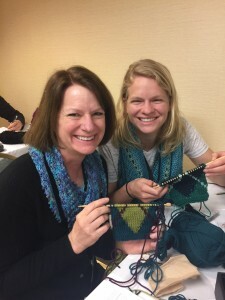 Every knitter knows that good yarn really makes a difference, and practicing a new skill with Brown Sheep wool greatly increased the confidence of the participants and created beautiful first projects! 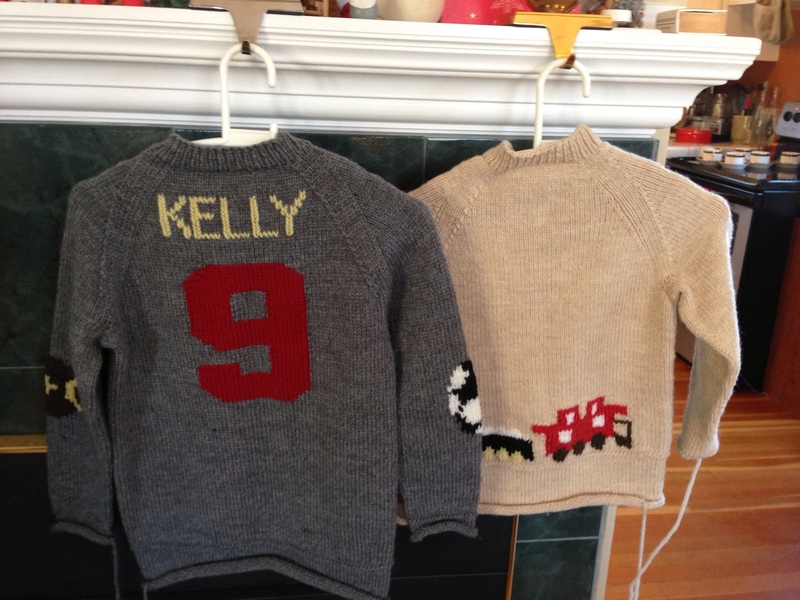 I asked participants what they would want to knit with their newly acquired skills, and a common answer was sweaters for the kids in their lives. 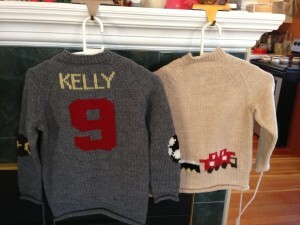 The Kelly Sweater was a direct result of that suggestion, and was named for the grandsons of one of the knitters! 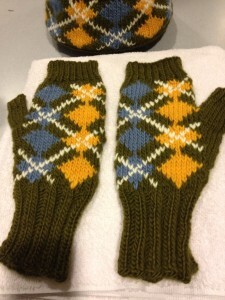 Both of the versions used Brown Sheep Lamb’s Pride worsted. I also used Brown Sheep Lanaloft, from my personal stash, to make the Timberline hat and mitts. In my opinion, everyone could use a stash of Brown Sheep yarns. I was fortunate to meet two of the owners of Brown Sheep (which is a family-owned company in Kansas) when they took an Annetarsia class at Vogue Knitting Live, last year. I was very happy to meet them and tell them in person how much I love their yarn. Seeing them enjoy Annetarsia was a blessing and a joy for me. They look like sisters, don’t they? Nope, Mom and daughter, having fun and looking good!